Omega Tau Sigma, the professional veterinary fraternity, is proud to host the 25th annual 5K Road Race for Animals. The run/walk serves to promote the health of our community and to celebrate the human-animal bond. 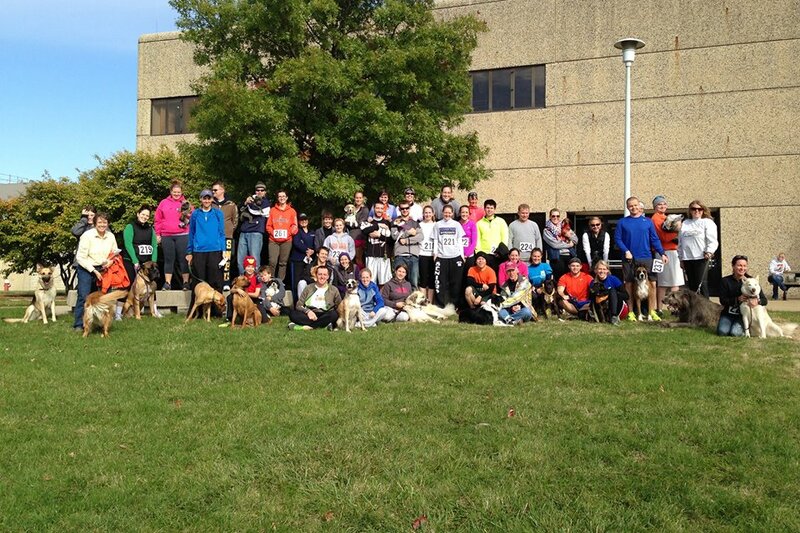 Road Race For Animals is OTS’s biggest annual charity event. Proceeds benefit the Wildlife Medical Clinic , a non-profit veterinary student run clinic that accepts ill, injured, or orphaned wildlife, and K9 Officer Down Fund, a fund used to help support K9 Officers that come to the Veterinary Teaching Hospital when injured. Last year, with the help of our wonderful local sponsors and participants, we raised over $1,000 for these non-profits. This year’s Road Race For Animals will be on Saturday, February 16th outside in the parking lot of the Veterinary Medicine Basic Science Building at 2001 S. Lincoln Ave in Urbana. The race starts at 9 am and race day registration is from 7:30am to 8:30am. You can run with or without your furry friend! 7:30-8:30 am on race day (February 16th) at check-in. A reception and brunch will follow the race with refreshments provided for all runners and animals. Prizes will be awarded to the top 3 runners of each category. Additional prizes will be raffled to all participants after the race! You can begin registering now! Cost is $25 if you preregister and $27 the day of. Pre-registration gets you a T-shirt and breakfast! To ensure that you will receive the correct T-shirt size, please submit registration by Friday, February 1st. Please fill out the Form (click here) and pay for the registration using the PayPal button below or checks made out to Omega Tau Sigma can be sent to 304 Kelly Court, Champaign IL 61821. If you are unable to join us for the race please consider making a donation to help us reach our goal of betting last years donation! OTS would also like to thank all the corporate and local sponsors of the event. Without you none of this could happen. Several of our sponsors, including IMPACT Physical Therapy with their race recovery boots, will be at the race! Any additional questions may be emailed to otsroadrace@gmail.com. OTS would also like to thank all the corporate and local sponsors of the event. Without you, none of this could happen. Any additional questions may be emailed to illinoisots@gmail.com. In the event of inclement weather, there will be no alternate day for the race, and no refunds will be given. Also, our insurance policy prohibits the use of headphones, inline skates, strollers, flexileads, animals not restrained by leash, or more than one animal per entrant.